**Please avoid using YAHOO email addresses where possible. 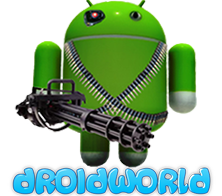 If you are using Hotmail/Live, be sure to check your Spam/Junk Folder for an email from DROIDWORLD. We recommend GMAIL or other email providers for the best experience.